Our Indigo dye blocks are from Tamil Nadu. They vary in size and typically may be 60 mm by 60 mm and 40 mm high. The blocks are quite brittle and soft and are not difficult to break up if you are using them for dyeing. 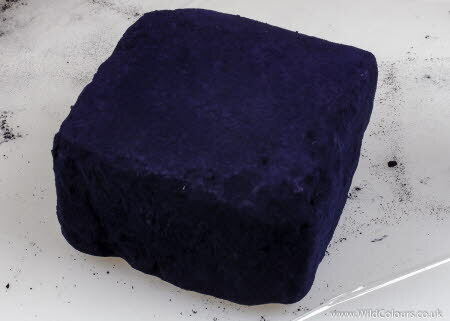 The indigo blocks can be used for museum display, to dye in an indigo vat, or to draw with. For more information on indigo cakes, navigate left-hand (blue button) menu to Indigo > Indigo cake.